George Redman, a three-sport standout at Bristol High School, Class of 1955, is regarded as one of Bristol’s best athletes ever. He went on to feature in football, baseball, and wrestling at Springfield College. Following graduation, he began a career in coaching that would extend 40 years. He coached outside of Bristol at first, but returned to do so at Bristol Central High School in the 1960’s. 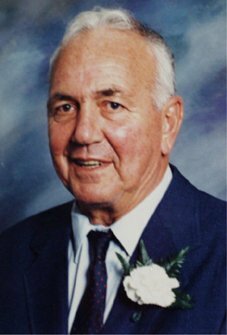 There, he helped establish the sport of wrestling and enjoyed his tenure as coach of the school’s football team. He went on to CCSU where he was assistant coach of football for 17 years and varsity offensive coordinator for six years. He was coach of the school’s wrestling program, recording a 162-58-1 record, and spent 14 seasons as head coach of the CCSU varsity baseball team, receiving “Coach of the Year” honors in the North Atlantic Conference in 1991. “Tough” and “talented” are words that best describe George Redman. He was inducted into the CCSU alumni Athletic Hall of Fame in April of 2009.